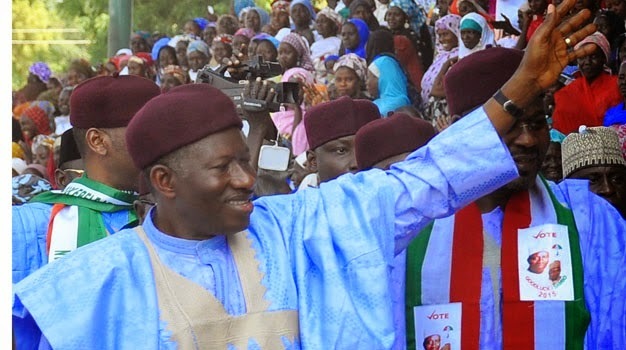 Religious leaders across denominations have pledged to hold a joint rally in support of People's Democratic Party (PDP) presidential candidate Goodluck Jonathan, Sun News reports. Operating under the aegis Inter-Faith Prayer Forum, the leaders made their plans public through a meeting with PDP Director General Ahmadu Ali. Led by Archbishop Leonard Kawas and Sheik Dan Zanga, the group has pledged their support for Jonathan's administration and has commended apparent improvements made in all sectors of society. The group also cautioned all aspirants against being power hungry, noting that both the Q'uran and the Bible agree that only God gives power. In his remarks, Ahmadu Ali expressed appreciation towards the group and thanked them for their prayers and support during the electioneering process.